Singaporeans are spoilt- face it, thanks to globalisation we don’t need to wait for seasons to pass etc. We want apples, we get apples. It just depends on where they are from: africa, washington, france or china. But sometimes, I wish that I get to enjoy different seasons ( we do have our monsoon season I guess?) because of the element of surprise each season gives you. Chiharu distinguishes itself from other high-class japanese restaurants to me because of the seasonal specialities that they offer. Things are always changing whether you like it or not but quality in terms of taste and presentation is never compromised. Today was my second visit with my family and I’m happy to say that despite ordering vastly different items ( because many things we had previously were unavailable), we were not disappointed one bit. 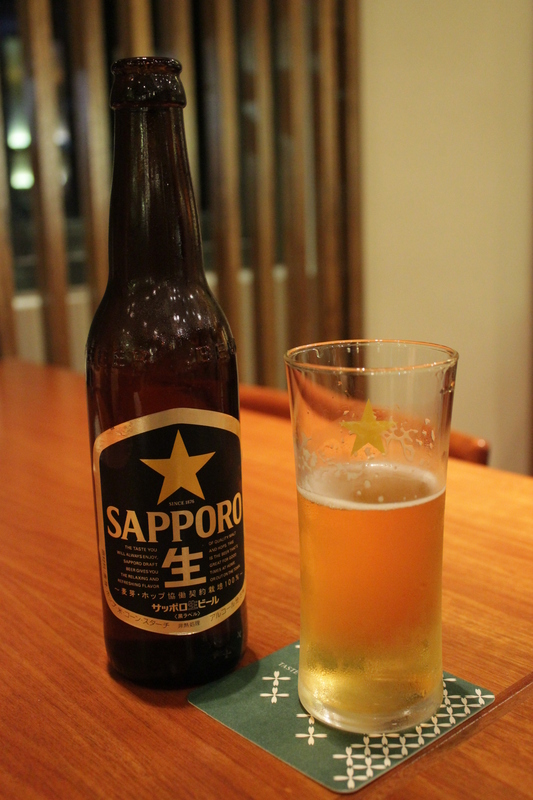 To start off, dad ordered some icy cold sapporo beer ($12) while mum and I happily sipped our green tea which I must add was pleasantly potent. 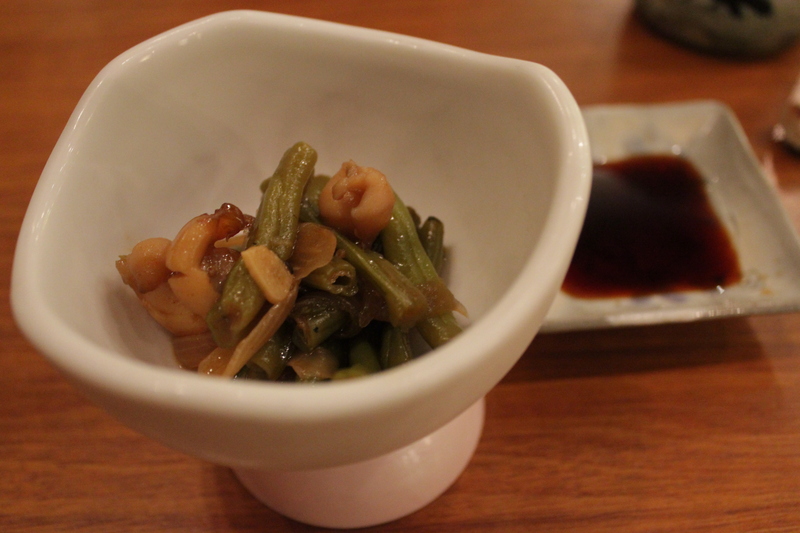 Simmered long beans mixed with some octopus, complimentary from the chef. 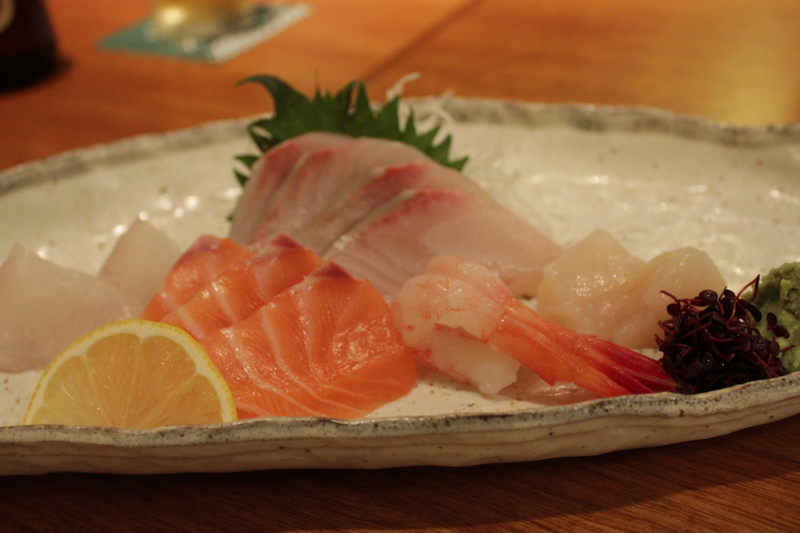 To start off we had sashimi mori ($45). My favourites were the scallops and the slabs of orange salmon. The tiny morsel of scallop was packed with flavour and had a springy bite to it. The salmon was melt in the mouth tender, not fishy at all. 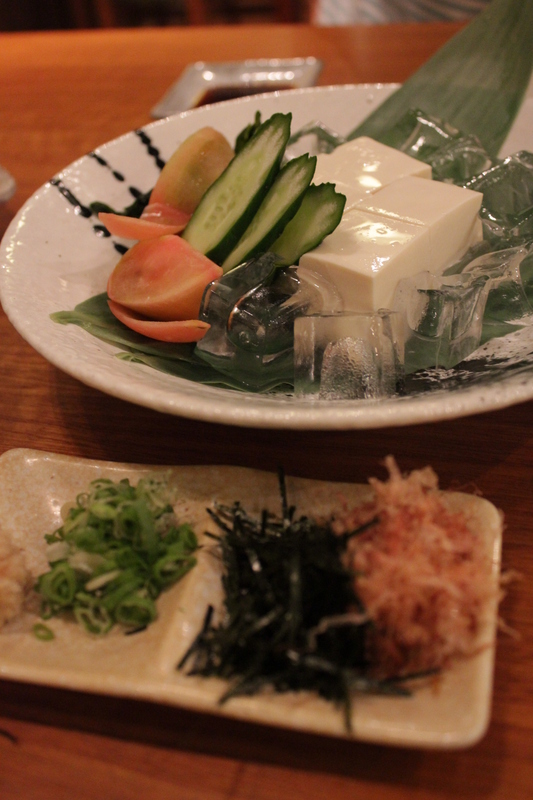 The Hiyayako ($10) (homemade cold tofu) was a relief from all the processed insipid tastless tofu you get in supermarkets. Savour carefully and you will be rewarded with the aroma of soymilk. 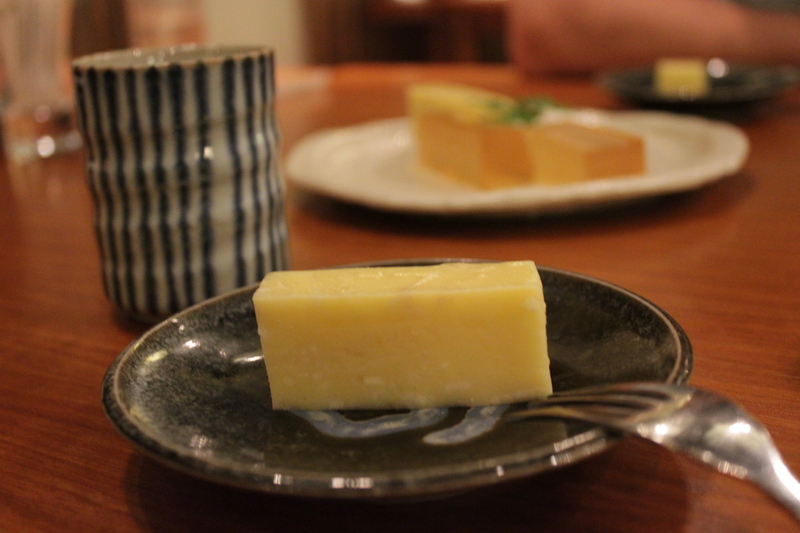 But it is still nowhere near the addictive nutty cold tofu I had in a random sake bar in tokyo! 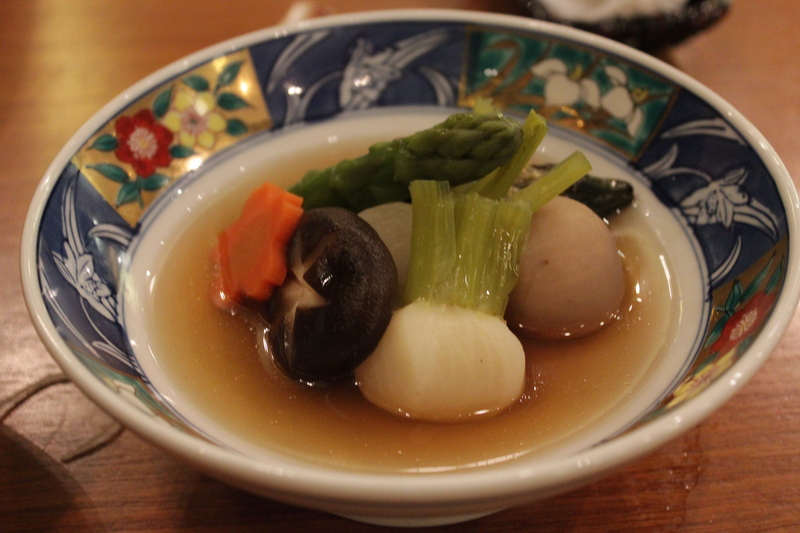 One of my favourite dishes of the night was Kisetsu Yasai Takiwase, Seasonal Japanese vegetables simmered in a light broth ($15). Whilst simple, I adored the presence of vegetables that I never saw before. The little white balls with green stems were baby radishes, the meatball lookalike was actually a yam ball, and behind it was the tiniest brinjal I had ever seen. Though tiny they all carried a distinct flavour and having being simmered in the broth, they also absorbed the sweetness of the mirin inside. 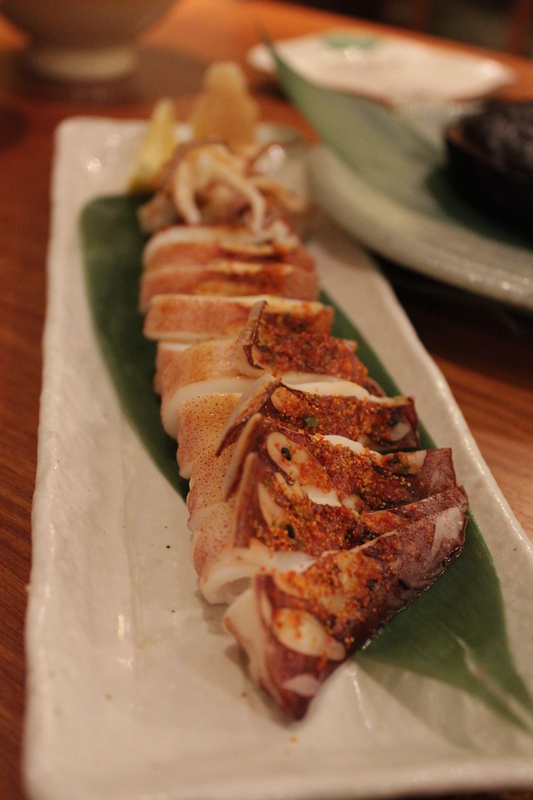 The Ika Shijimiyaki, grilled squid ($15) came dusted with chilli powder which added a punch to the seasoning. Otherwise, it was pretty normal although the squid was a little overgrilled making it almost ( but not nearly) chewy. 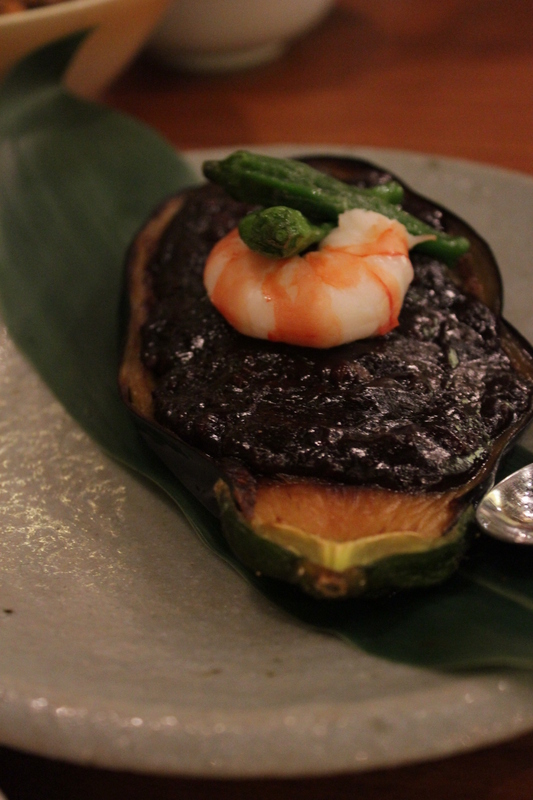 Nasu Dengaku, grilled eggplant with miso marinade ($12) was unanimously voted as the most memorable dish of the night. The eggplant was grilled to perfection leaving a crackly skin and juicy flesh while the miso marinade was not overtly salty or sweet and studded sparsely with some minced meat. This dish scored in terms of creativity in presentation and taste. Well thought through by the chef indeed! 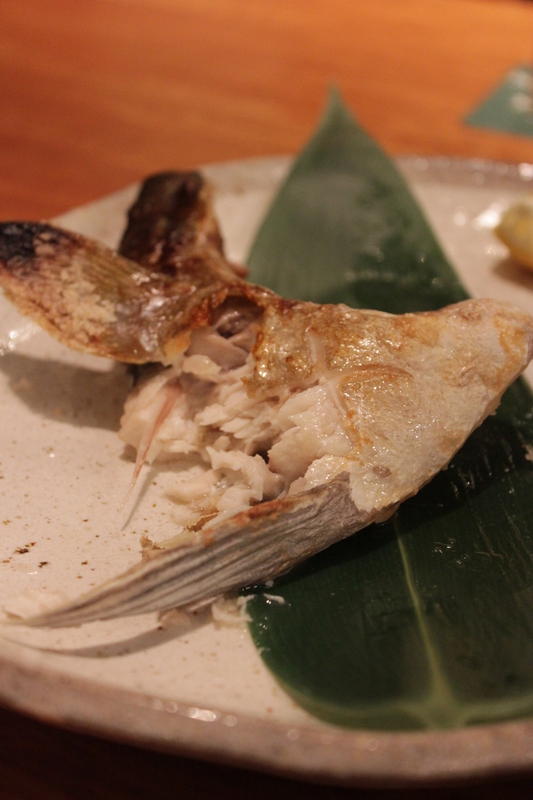 The Hamachi Kama, grilled yellowtail collar ($25) was unfortunately a little fishy, something that would never happen at the japanese restaurant we used to frequent at greenwood, Raku ( until we got tired of the food because they didn’t change the menu at all). Nonetheless, it was still passable partially because of the awesome grilling technique of the chef which ensured that the flesh inside remained moist and sweet. At this point, we started to miss Raku’s awesome selection of grilled fish ( available seasonally as well) and their out of the world california rolls. They serve the BEST california maki I have ever tasted simply because of the fat, shiny and juicy orange fish roe that coats ( that’s an understatement, it literally blankets) each piece. 2 small bowls of Japanese fried rice was ordered to fill any remaining tummy space. 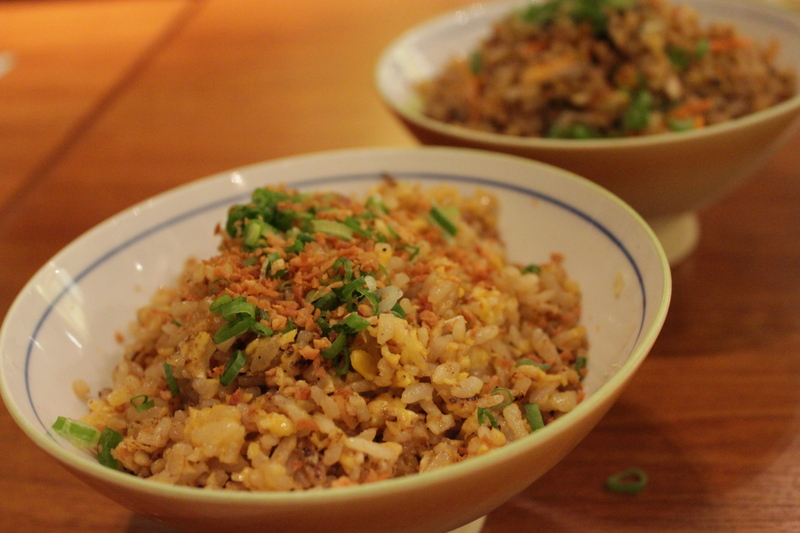 For the sake of variety, we order garlic chahan and mixed vegetables chahan ($12 ea.). Fat grains of calrose rice grains well tossed in egg and the respective ingredients as promised above made it easy for us to polish it all off. Rice of course went well with the other dishes we ordered. Dessert offerings on the menu seemed uninspiring and I was a little upset by the fact that pumpkin pudding was no longer available. Dad however, insisted as usual on something sweet to end the meal ( and i wondered where i got my sweet tooth from!) and after shaking my head to everything else that was available, we settled on Home Made Jelly ($8). And wow, I never knew how interesting jelly could be! 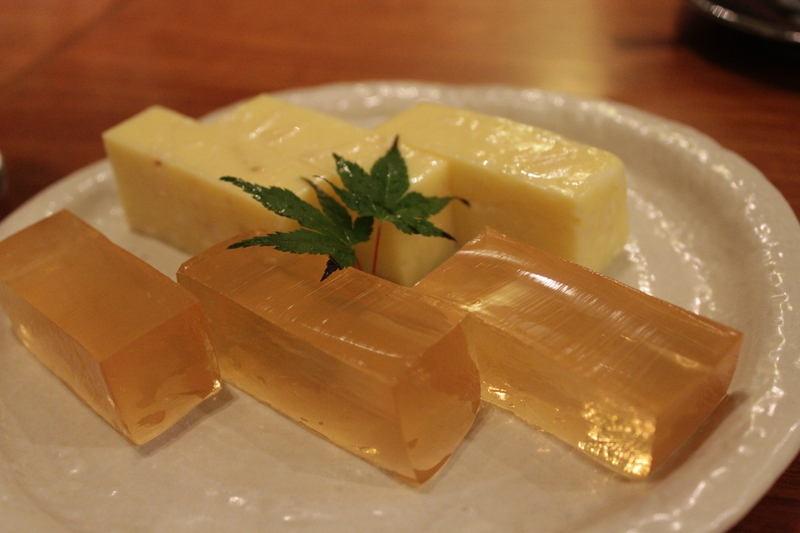 Both jellies offered, japanese chesnut and plum wine, boasted very different textures and tastes. It was a pity the red bean one was not available for the day. Much care and concern is placed on every aspect here in chiharu. Service was impeccable and knowledgeable no less, without being intrusive as well. Presentation as you can see was flawless without compromising on flavours. More importantly, the food has finesse, thanks to the excellent skills of the chefs there. However, during both my visits the restaurant was almost close to empty which seemed really confounding to me. It’s probably the steep price tag and bad location that fails to draw customers but I hope they will slowly build a name for themselves! Note: Prices are subject to 10% service charge and 7% GST. Citibank, UOB and Mastercard holders get 15% off total bill before these charges.